April 29th E.A.C. Freestyle Open - "King Of The Ring"
TWA is back! TWA (Terrazas Wrestling Academy) is set to begin a week from Sunday on March 4th. We will run our Spring Clinic every Sunday and Wednesday Evenings from March 4th- May 30th (26 Total Practices). We will once again hold workouts at Oak Hill High School. Elementary Practices will be held from 6:00-7:30 with High School Practices following from 7:30-9:00. The cost for the Spring Clinic will be $325 dollars (All 26 Practices- 12.50 per practice, Payed on March 4th) or $15 dollars per practice if you desire to be more flexible. Below is a flyer detailing all the information! As always, if you know of anybody that may be interested, please forward this on! Also, please register by emailing terrazaswrestlingacademy@gmail.com your name, age, school, and weight in order to get an idea on numbers before March 4th. Please visit our website for additional information on coaching staff, registration information, etc. TWA-WEBSITE If you have any questions don't hesitate to ask! Look forward to seeing you on March 4th! A look ahead!- BJ Futrell (3x All-American/World Team Member is once again committed to coming to camp this summer. The dates for that will be June 25th-28th! Please save the date! TWA is back! TWA (Terrazas Wrestling Academy) is set to begin a week from Sunday on March 4th. We will run our Spring Clinic every Sunday and Wednesday Evenings from March 4th- May 30th (26 Total Practices). We will once again hold workouts at Oak Hill High School. Elementary Practices will be held from 6:00-7:30 with High School Practices following from 7:30-9:00. The cost for the Spring Clinic will be $325 dollars (All 26 Practices- 12.50 per practice, Payed on March 4th) or $15 dollars per practice if you desire to be more flexible. Below is a flyer detailing all the information! As always, if you know of anybody that may be interested, please forward this on! Also, please register by emailing terrazaswrestlingacademy@gmail.com your name, age, school, and weight in order to get an idea on numbers before March 4th. Attached is a Flyer with additional information. Please visit our website for additional information on coaching staff, registration information, etc. TWA-WEBSITE If you have any questions don't hesitate to ask! Look forward to seeing you on March 4th! A look ahead!- BJ Futrell (3x All-American/World Team Member is once again committed to coming to camp this summer. The dates for that will be June 25th-28th! Please save the date! The Rebels will no longer be hosting a Freestyle Duals meet on April 23rd. Rebel Wrestling Foundation (RWF) will be hosting a Freestyle Qualifier event on Thursday April 20th that we are excited about. 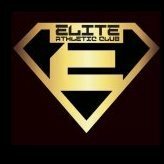 It will be very well ran with 2 full mats and 2 licensed officials for age groups PW-JR. Our goal is to get everyone a couple matches and out of the gym in a couple hours. We also understand with proms, SAT/ACT, spring breaks, baseball, etc. it gets very difficult to make it to 2 freestyle tournaments on 2 of the 4 weekends in April.... This event will count as 1 of your qualifiers for ISWA Freestyle State. Flyer and more information.... Rumble at the Roch Thursday April 20th, 2017 LOCATION St. Roch Catholic School 3603 S. Meridian St. Indianapolis, IN46217 CONTACT Wade McClurg wrestling@roncalli.org 317.501.8306 Registration, Weigh In Procedure, Wrestling Format & Schedule Early Registration- Email wrestling@roncalli.org by Wednesday April 19th at 5:00pm: Name, USAW Card #, DOB, Age Group (PW - JR), Actual Weight.$10 cash per wrestler pay at the door Thursday. You will receive a confirmation email by Wednesday night, if you do not receive an email please call Coach McClurg. On-Site Registration- Thursday from 5:00pm-5:30pm you can register on site, $20 cash per wrestler. Weigh In Procedure- Everyone must step on the scale from 5:30pm-6:00pm to weigh in.We are going to pair the tournament prior to weigh ins, but we will check weights on before competition.So, please make sure you are close to the actual weight that you emailed to us. Wrestling Format & Schedule- We will have 2 full mats and 2 licensed officials. Wrestling will start at 6:00pm.We will put wrestlers in a round robin of 3 wrestlers. We hope to get everyone at least 2 matches.We will group wrestlers according to their actual weight and age group. ADDITIONAL INFORMATION · This tournament is hosted and ran by Rebel Wrestling Foundation (Roncalli’s wrestling club). · This tournament is a qualifier event for the ISWA Freestyle State Tournament. · We will email the ISWA all entrants that paid, weighed in, and showed up to compete on Thursday night, because this counts as 1 of 2 required qualifiers needed to participate at state. · Concessions will be available. · Wrestlers must have a valid 2016-17 USAW card, replacement cards will not be available at tournament.